A look at Disney’s MOVIE TITLE behind the scenes. We’re sharing MOVIE TITLE music videos, featurettes, interviews, and updating this often. Before you see A Wrinkle in Time read our movie review from kids like yours: a kid, a tween, and a teen. 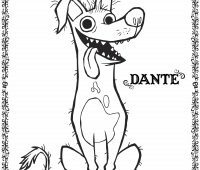 Then make your Disney family movie night extra fun with these Disney A Wrinkle in Time movie printables coloring sheets and activity pages. Christopher Robin and Winnie the Pooh are back this August. Get a look at Disney’s Christopher Robin Movie Trailer. A look at SOLO: A STAR WARS STORY movie official movie trailers and movie posters. SOLO: A STAR WARS STORY movie will be released May 2018. Make your Disney family movie night extra fun with these Disney Pixar COCO Printables coloring sheets. Our family movie series has Disneynature Born in China movie details, video clips, and printables. Born in China is a new Disneynature film for families. Make your Disney family movie night extra fun with these Disney Beauty and the Beast Printables coloring sheets and activity pages. A look at Disney’s MOANA behind the scenes. We’re sharing MOANA music videos, featurettes, interviews, and more. Make your Disney family movie night extra fun with these Disney’s Moana Printables coloring sheets and activity pages.